Hockey-themed graphics like sticks, pucks, skates, and more. The cards also include hearts and messages like "Be Mine." Download the PDF file. Note that if you are using a tablet or phone, we recommend using a desktop or laptop instead. It will be much easier to open and print the Valentines. If you choose to use a tablet or phone anyway, you will likely need several apps for accessing, opening, and printing the files. Open the file in Adobe Reader. Download Adobe Reader at https://get.adobe.com/reader if you don't have it. Make sure you uncheck the box under "Optional Offer" to prevent extra software from being installed. Note that other PDF readers can work, but we have found that a small number of designs won't render correctly in these programs. Print the Valentines on 8.5 x 11 card stock. Make sure you adjust your printer settings to print at full size. In Adobe Reader, the option is labeled "Actual Size." The option can be found in the printer settings dialog window that pops up when you try to print in Adobe Reader. Select this option to ensure the Valentines are printed at the correct size. Cut out the Valentines. A paper trimmer will produce the best results, but scissors will also work. You may print our downloads for personal and classroom use. You may not sell or distribute the files for our downloads. You may not sell printouts of our downloads. You may not create derivative works based on our downloads. If you want to share our downloads with someone, please share the link to the page where the files are hosted rather than sharing the files themselves. Do not link directly to our files. We have hotlink protection enabled. This will cause an error for anyone trying to directly access our files. Download the Valentines without a watermark for only $0.99. Note that only the watermark on the Valentine cards is removed. The usage information and credit will still be present at the bottom of the page. 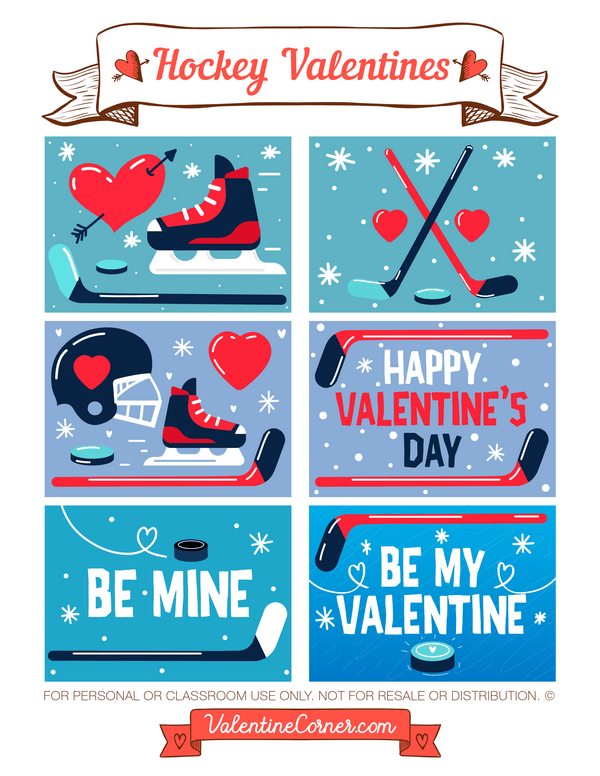 Download a free version of these Valentines. The free version includes a small watermark on each Valentine.